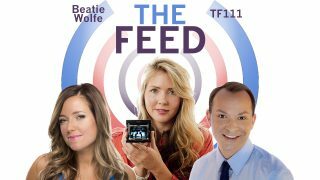 The Feed's Amber Mac and Michael B speak to singer/songwriter and digital art innovator Beatie Wolfe about bringing augmented reality to the music industry. Plus, our own Amber Mac is 3D printing pancakes and getting her fridge to make her coffee – we tell you how. Michael O’Hara from GSMA shares why the World Mobile Congress is expanding to North America. In Socially Speaking, we talk about how Facebook plans to stop advertisers spreading fake news. Listen to the episode through the Podbean player above, subscribe to The Feed on iTunes, or tune in to SiriusXM to hear us on-air Saturdays and Sundays on Channel 167.